Founded in 1966, lying at the foot of the famous Mountain Tai, an important skeleton enterprise being tech-reconstructed in 65, 75, 85 period by the nation, the Taian Taishan Jinshi Machine Co., Ltd(the primary Taian Experimental Equipment Factory) is a member of the gas engine industry union and a Chinese automobile servicing equipment league syndic unit, a nozzle and injection pump industry syndic unit. Now, the factory has more than 200 workers and covers an area of 100 thousand square meters, which has over 400 producing equipments. 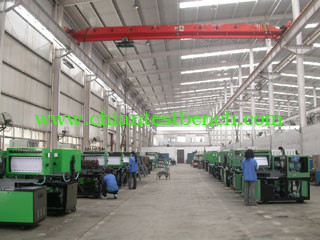 It has the ability of produce the machine, electronics, transportation equipment, molding tool. Year to year provides injection pump technology training. 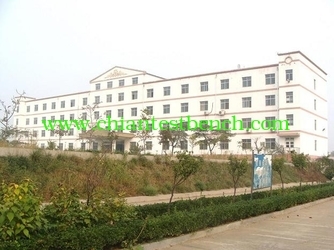 It is the largest special manufactory producing gas engines in China. The factory has 4 centers for product test, physical and chemical, metrological and checking, and computers and adopts CAD computer assistant design, EDM archive management. It also has well-equipped and advanced heat treatment workshop, machining workshop, molding tool, rivet joint and weld, painting workshop, and sales net. Factory is honored in sequence with many titles, such as National Enterprise, High-tech enterprise, Enterprise who honor contacts and abide by one’s word, National CAD applications demonstration enterprise, etc. In addition, the factory has acquired the ISO9001 two certificates approbated by the approbation committee of the Chinese national import & export enterprises approbation organ and the national approbation committee of Chinese system approbation organ. Has 5 series, over 80 models, more than 30 thousand sets have been produced, and standing more than 60% of the markets, the main products Fuel Injection Pump Test Stand has acquired the National Quality Award twice and be used widely in road transportation, railway transportation, ship, engineering machine, agriculture machine, military industry, teaching and research, manufacture of gas engine, etc. The automobile maintenance equipments, Communication materials series product, plastic machinery, architecture project machines, and gas meters produced in our factory are all occupy steady market in their own scopes. Being titled the Famous Brand of Shandong Province, the products are exported to more than thirty regions, including Asia, Africa, America, etc..